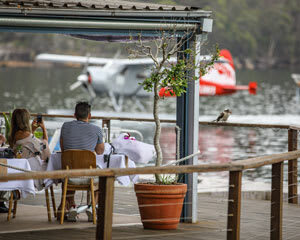 An inspirational 20-minute scenic seaplane flight from the heart of Sydney lies the award winning Cottage Point Inn Restaurant, situated in the Ku-Ring-Gai National Park. 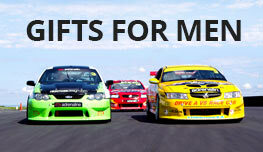 A mere 20 minutes flying time from the heart of Sydney is the award winning Cottage Point Inn Restaurant. 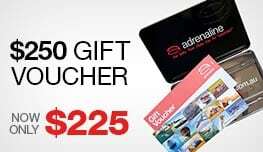 Situated in the Ku-Ring-Gai National Park this restaurant is renowned for offering exceptional modern Australian cuisine in beautiful and tranquil surrounds. Upon landing the aircraft will taxi right to the restaurant’s seaplane dock, where a warm welcome awaits from Cottage Point Inn’s friendly staff. After a leisurely 3 course a la carte lunch you reboard your aircraft and return to Sydney Harbour. To top off a magical afternoon you will complete a circuit of the Harbour Bridge and Opera House, before landing at Rose Bay. Total tour duration 4 hours, time in air 40 minutes. We require a minimum of 2 people to confirm a flight. Departs 11:30am/12:30pm/1:30pm (dependent on availability, the time has to be confirmed by the pilot). Set on the water at the junction of Cowan Waters and Coal & Candle Creek, was originally the Cottage Point boatshed and general store. The building was converted to a restaurant in the 1970’s and has been operating since. Our philosophy is to provide an honest, modern Australian style of food served in a relaxed, friendly atmosphere. Complementing the menu are wines chosen for their excellence from wine growing regions predominantly in Australia & New Zealand.